This weeks challenge has been created by one of our So Cal favorites, Charlotte Carpentier … Charkat! We have a great group of CZT’s in the San Diego County/Temecula area and Charlotte is one them. 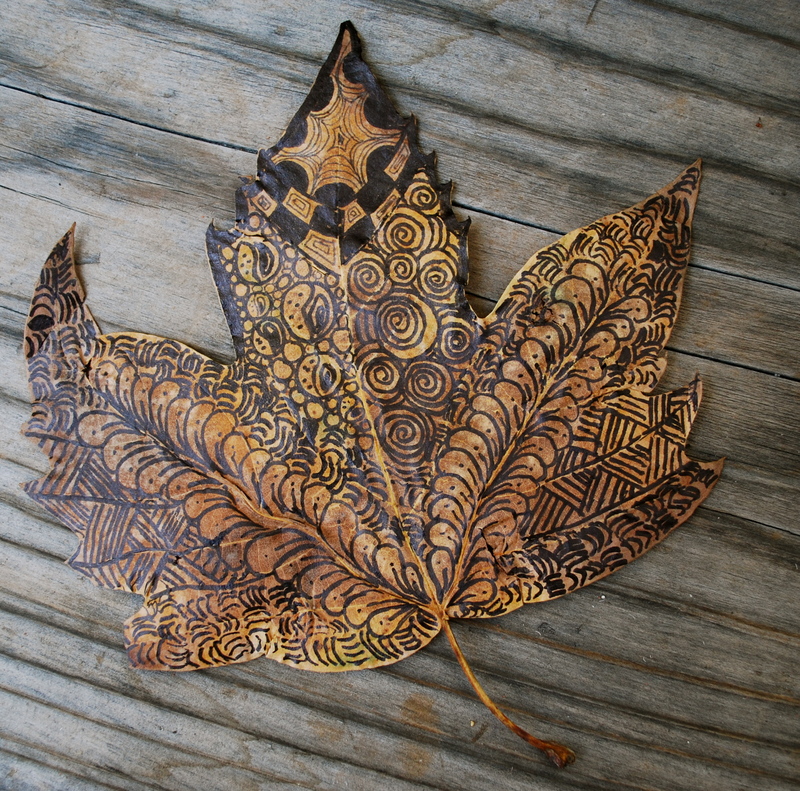 I’m always intrigued by her incredible knowledge of everything art … paper, pens, tools, you name it. She now has her own store/studio in Temecula which is awesome. Many of us have ventured up the Interstate to visit … can’t wait for a return trip. In April, our local group hosted a one day “Day on the Bay” meet-up at Mission Bay Yacht Club. Charlotte presented the 24 attendees this very same project. 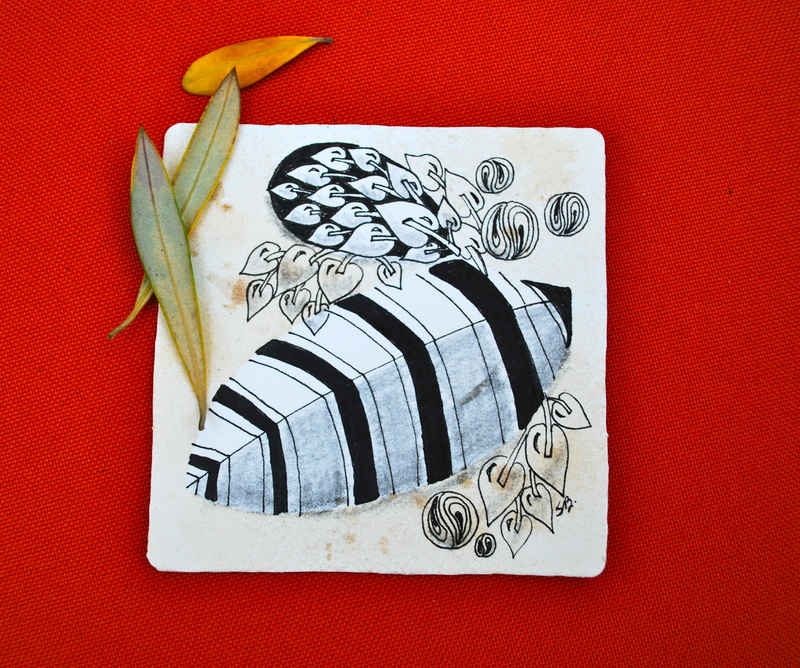 She brought all the tools and tiles and demonstrated how to create beautiful pieces of work using stains and stencils. While I knew I wanted to participate and support my fellow CZT 14 friend, I’m sad to say I don’t own any stencils, but I did have a mini spray bottle! I collected a couple leaves from the yard then used some chai tea and coffee to make my string. The fluids weren’t dark enough to do much damage, but the leaves did show quite nicely so I chose to fill them in. Not my best but I tried several times to color the tile and it just wasn’t working for me. And, on second thought, I think I should have tangled around the stencils and maybe things would have shown up clearer. Anyway, I did learn something from this challenge …. I need some real stencils! Charlotte … any in the store? … a must purchase on my next visit to Charkat’s Creative Insanity! 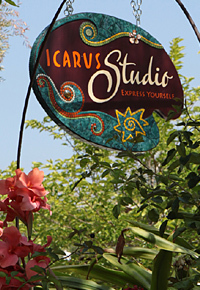 It has been so HOT in San Diego, that an afternoon spent in the cool air-conditioned studio at Icarus Creative Arts Studio & Gallery was just what seven of us needed today! 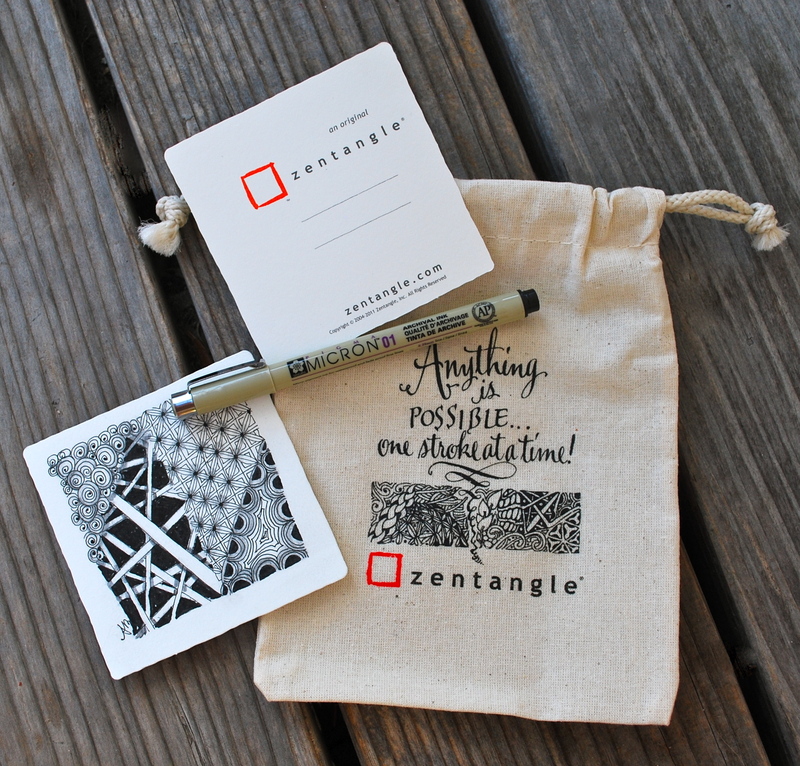 So nice, quiet and peaceful – but with lots of excitement and energy as new people were introduced to Zentangle. Look at their work … all very good students! 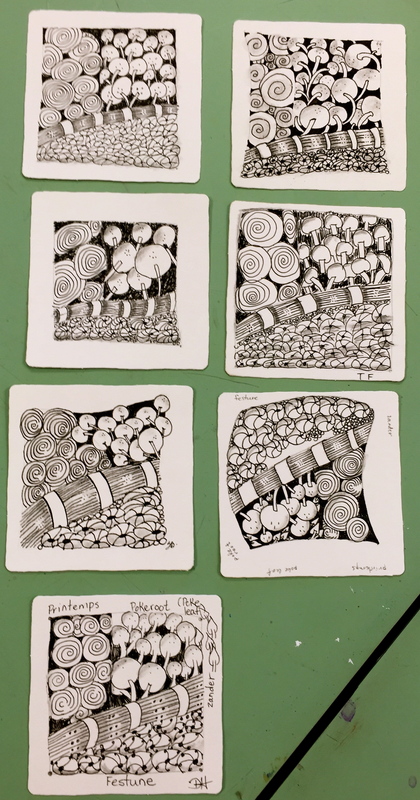 Looking forward to welcoming them back to continue their Zentangle Journey with “Beyond the Basics” classes scheduled for October 4th, November 1st and December 6th. Thanks to Mary Sue, Debbie, Torrie, Marguerite, Rebecca and Heather for a fun afternoon. Interest has been high for the Intro Classes as well so if you haven’t had your Intro yet, sign up now for Sunday, October 11th. Space is limited. As much as I don’t want to post this here, I find I must – remember that there is a 48-hour cancellation policy if you cannot attend a class. This class was full with twelve people enrolled, but with late cancellations and no-shows, only six came. I had a waiting list that would have allowed others to enjoy the cool, air-conditioned studio this afternoon. 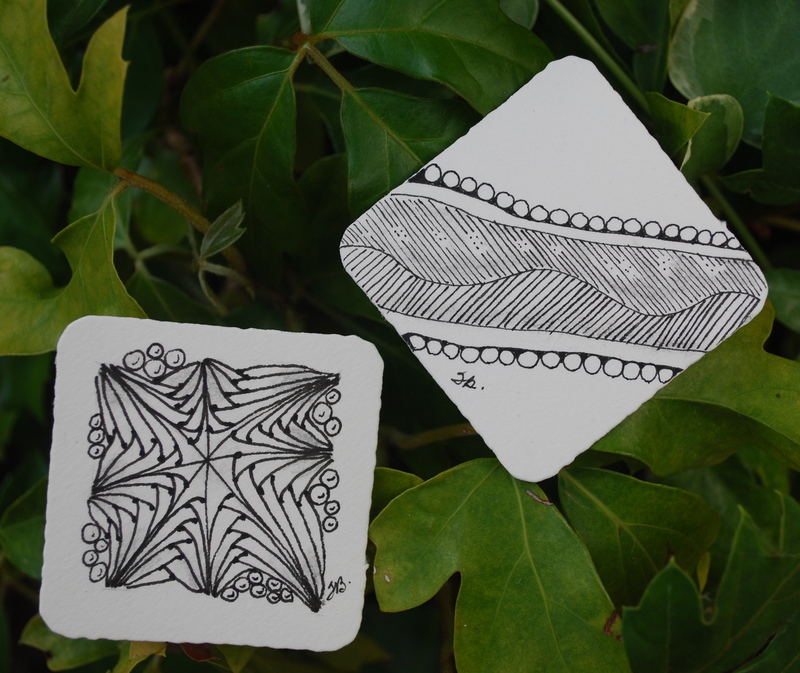 Please keep this in mind so that I can share my passion for Zentangle with all who are interested! Thank you. Our guest Diva this week is Holly Atwater. 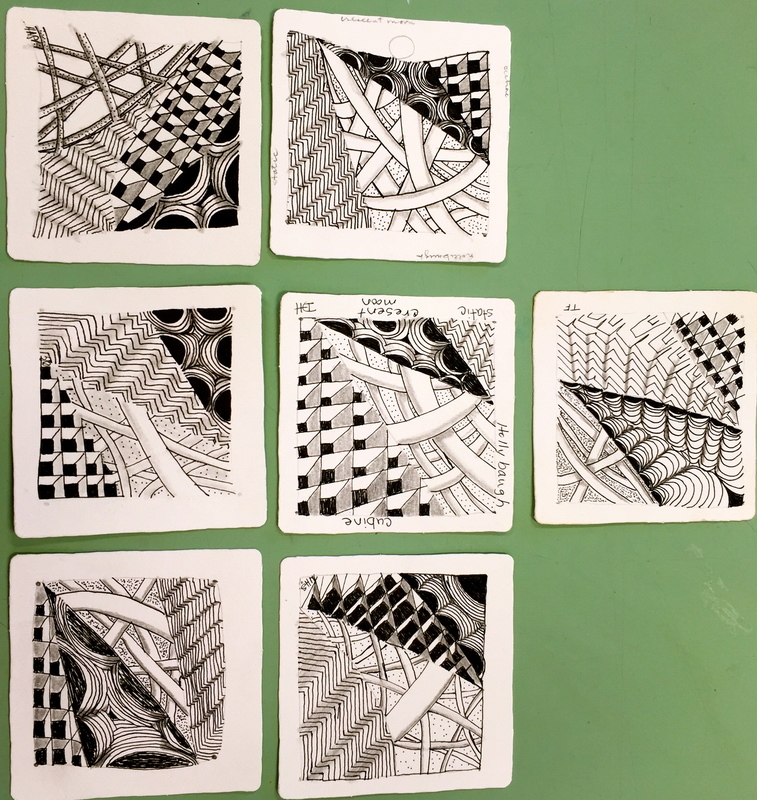 Holly has created Audio Zentangle Meditations and challenged us to use one of those or the pattern of Betweed, or both. I opted to do both as Betweed is a pattern that gives me trouble. It never seems to look right when I’m done with it. 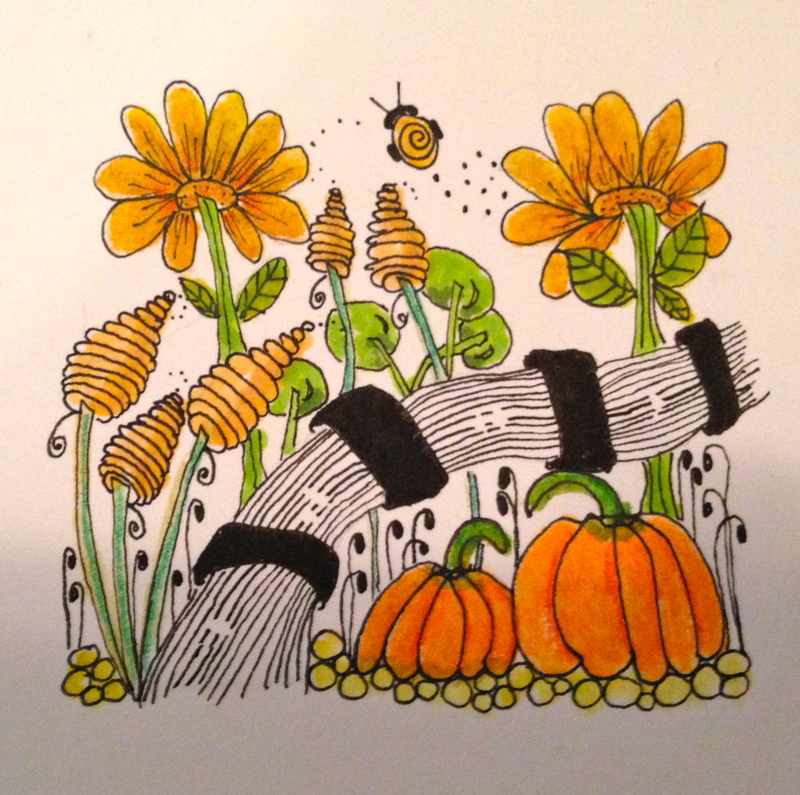 Not to be left out, I also listened to Audio Zentangle #3. Confession … I listened to #3 and did have a little trouble following. Holly’s voice was very soothing and easy to listen to. I just couldn’t grasp what I was supposed to do – I need visuals. So, I did what I was told not to do – I cheated. I took a peak at what the others had created and whoa … there was Meer. I love Meer. How couldn’t I not figure that out! Oh well, as I said, I enjoyed listening to Holly’s voice and did listen to the other two Audios. It’s been a fun summer with all the guest contributors. Thanks to all of you who stepped in for Laura and took the time to do these. This “tangler” appreciates all your efforts and time in putting these together! Visit all the other entries on the Diva’s blog.